How to Use Aloe Vera for Wrinkles? Aloe Vera is commonly known for its curative properties as it can help in relieving sunburn on your skin. 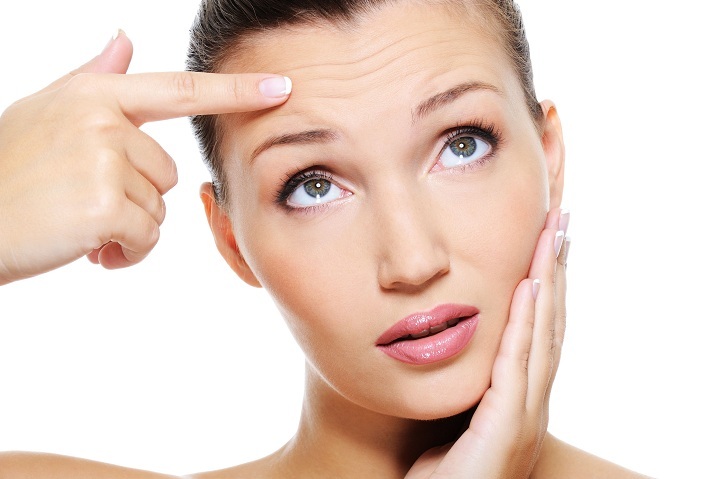 However, many latest researches have proved its positive effects on your wrinkles. According to researchers the affect of Aloe Vera on facial wrinkles can be observed within 90 days, by using it regularly. 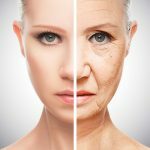 Does Aloe Vera Gel Reduce wrinkles? At various medical centers the effects of Aloe Vera on the skin were studied various times since long. During these studies it has been proved that Aloe Vera is very beneficial for the regeneration and reparation of damaged skin cells, damaged due to prolonged and intense exposure of the skin to sun rays. These benefits of Aloe Vera on skin can also help in the reduction as well as prevention of the wrinkles. It can fight away the wrinkles causing free radicals as it contains various nutritious elements including vitamin B1, B3, B6 and C along with 18 amino acids. Here are some simple homemade ways to use Aloe Vera for wrinkles. You may need one tablespoon freshly extracted Aloe Vera gel from inside of fresh Aloe Vera leaves. You can apply the freshly extracted gel of Aloe Vera on your face just like a facial cream and massage it in circular motions for 2-3 minutes. Allow it to stay on your skin for 25-30 minutes so that it can help in releasing toxins from your facial skin as well as tone it with its healing and nourishing properties. You can repeat the same in the evening for better and faster results. 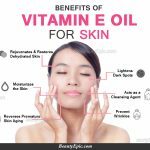 Take the Aloe Vera gel in a small bowl and pierce the vitamin E capsules to take out oil from them on the gel. Mix both the ingredients well to form a paste like material. Now you can apply it gently on the affected [arts of your facial skin and massage it gently in circular motion for at least 2-3 minutes and allow it to stay on your face for 30-60 minutes so that your skin can absorb it beneficial elements. Then rinse your face and apply a moisturizer. You can repeat it 2-3 times a week for better results. Mix them well to make a lotion like material. You can apply this mixture on your skin and massage it with your fingers for 2-3 minutes or until the oil is absorbed by the skin. 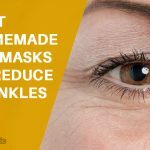 Allow the mixture to remain on your face for 20-30 minutes so that it can work on your skin to reduce wrinkles along with moisturizing it to give you a healthy and flexible skin. You should repeat this mixture twice a week to get better results. Put both the ingredients in a bowl to mix them to make a paste to use on your face. Now apply this paste on your face like a face pack and massage it gently with your fingertips. Then wash your face after keeping the past on your face for 30-60 minutes. You can apply Aloe Vera gel or some other moisturizer on your face to retain the effectiveness of this mixture. You can repeat this process twice a week. After going through the information provided in this write-up you can easily conclude that Aloe Vera gel is a very effective skin care natural product. It is known for its curative properties as it not only relives sunburn but also help in reducing the visibility of wrinkles and fine lines as well as preventing their recurrence by recovering the elasticity of your facial skin. The effect of Aloe Vera gel can be increased by using it on combination with other healthy elements including coconut oil, honey and vitamin E etc. Thus, Aloe Vera has proved its effectiveness in reducing your facial wrinkles to a great extent in a very natural manner. 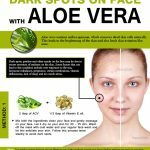 How to Use Aloe Vera to Remove Dark Spots on Face? 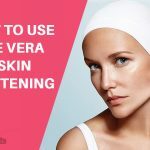 How to Use Aloe Vera for Skin Lightening (Whitening)?